For many minorities, Jina Etienne’s story of finding herself in a meeting room full of little to no diversity culturally, racially and ethnically is not an uncommon one. As an African American person in accounting, it wasn’t until later in her career that Jina began to notice this dearth of diversity. It’s a problem plaguing the profession as a whole; last year, Asians and Pacific Islanders accounted for 16% of new CPA hires; Hispanics, 7%; African-Americans, 4%; and Native Americans, less than one percent. These figures are not reflective of the diversity in Bachelor’s and Master’s programs. 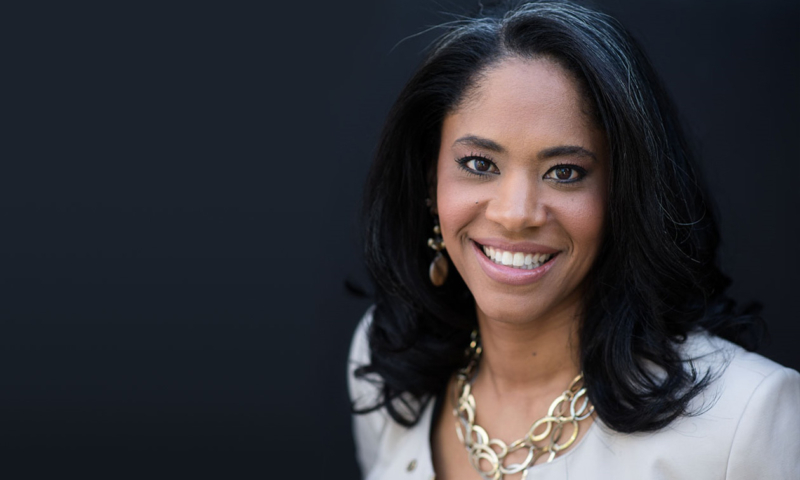 A former director at the AICPA and CEO of the National Association of Black Accountants (NABA), Jina will be joining us at Xerocon Austin to share strategies for recruiting and maintaining talent whose cultural, racial and ethnic backgrounds are more reflective of society as a whole. Jina describes her career, from starting her own accounting practice, to serving as a director at the AICPA, as a series of fortunate events. Jina says she has been “winging it” since she chose to apply for an internship in the tax department of what is now Deloitte through her college co-op. She got the job and she says it just happened to be in the career path that she would spend the rest of her profession in. Reflecting on her awareness of NABA, Jina was just learning about the organization when the role of President and CEO came up. “I had not been a member of NABA, and was only peripherally aware of the organization throughout my career,” Jina explains. After two years with NABA, recognizing that she had a rare window to take a pause and decide what she wanted to do next, Jina co-founded Etienne Partners with her husband. It is a boutique consulting firm that marries Jina’s expertise in practice management and driving diversity with her husband’s work in innovation and intrapreneurship (being an entrepreneur within an established or structured organization). “Whether we’re talking about the challenges behind driving diversity or intrapreneurship, it kept coming back to the same things: individual mindset and group awareness,” Jina explains. “My husband has helped many companies drive intrapreneurship, which requires companies to have a high tolerance for risk, innovation, and to really understand the culture and the environment. “Meanwhile, I was looking at things like practice management and regulatory ethics, but also mindfulness, thoughtfulness and what we do in uncomfortable situations. I talked about the skills on the inside – what you need to do to make sure you’re hearing what people are trying to say? And, how to find the courage and the skills to speak up if you don’t agree on something. Jina will be presenting a session titled, ‘Rethinking Diversity’, where she’ll lead an upside-down discussion on diversity. Rather than focusing on best practices for recruiting and maintaining diverse talent, she’ll work backwards. Starting by imagining a company that is vibrant, modern, savvy and growing, Jina will explore the company’s values and the attributes of people who would want to be owners, clients and employees. As demographic shifts drive new and different client and employee expectations, firms must evolve into holistic workplaces that embrace those changes. She will contend that perhaps the best Diversity and Inclusion strategy is as simple as re-defining a firm’s culture in these terms. Through her session, she will aim to give attendees a clearer sense of their organizations and the strategies they need to find, hire and retain the talent that reflects the diversity of the communities where they work and the clients they serve. “My presentation is an opportunity for me to finally share the views, perspectives and strategies to promote inclusion that Gerard and I have developed over the years,” Jina explains. The post Rethinking diversity with Jina Etienne at Xerocon Austin appeared first on Xero Blog.